The primary school curriculum includes three subjects under the general heading of Arts. These are Visual Arts, Drama and Music. 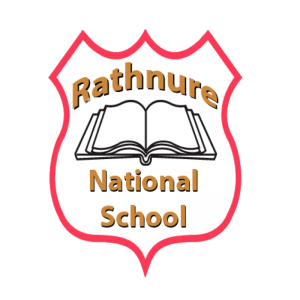 Here at Rathnure NS we engage with these subjects in a very meaningful way. Each week a class presents an assembly in front of the entire school. This platform is used to encourage and develop public speaking skills, to perform songs, music and drama to a large and real audience. Our senior classes learn the tin whistle, and there is also a full class set of glockenspiels available to enable all children access to learn an instrument. Our school choir enhances school liturgical services and has been invited to perform at other community based events also. Each December we enjoy the privilege of singing at the Bishops Mass in St. Johns Hospital. Each year we endeavor to participate in collaborative arts projects with people from outside our own school community. Such projects have included CraFted, Living Arts Project, Sing Out Loud, Funky Kids, and Cow House Studios projects.